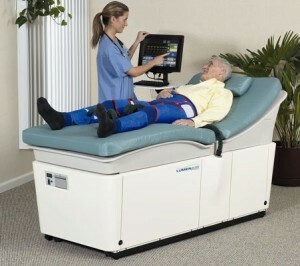 EECP (Enhanced External Counterpulsation) therapy and ECP (External Counterpulsation) therapy are the terms which describe the non-invasive, complimentary or alternative treatment prescribed by physicians for patients suffering from the symptoms of angina, congestive heart failure and other cardiovascular diseases. Both EECP therapy, a name which has been trademarked by Vasomedical Inc., Plainview, NY in the marketing of their treatment method and devices and ECP therapy, the generic term used to describe all forms of external counterpulsation (including the ECP systems manufactured by PSK – Chongqing, China as an example) , are based upon the proven hemodynamic principal of counterpulsation, which involves increasing blood flow (volume and pressure) to the heart during diastole (when the heart is at rest) and reducing the workload and oxygen demand the heart uses to pump blood throughout the body in systole. 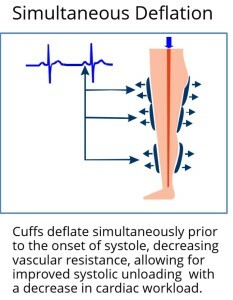 In addition to the clinically proven hemodynamic principal of counterpulsation, extensive research in clinical studies published in peer-reviewed medical journals have demonstrated the many mechanisms of action that are responsible for both the initial benefits produced by the therapy as well as the long term outcomes, which show these initial benefits lasting up to five years post treatment. 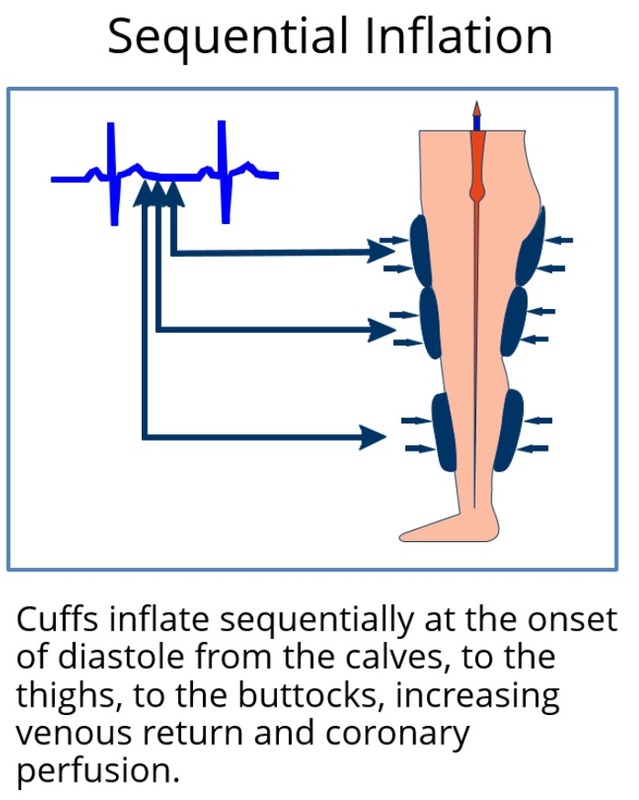 Every year physicians using both EECP and ECP systems continue to have their clinical research published in peer-reviewed medical journals and textbooks worldwide. 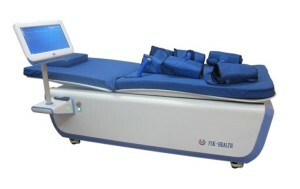 EECP/ECP therapy is typically provided in 35, one-hour treatment sessions over a period of approximately seven weeks. 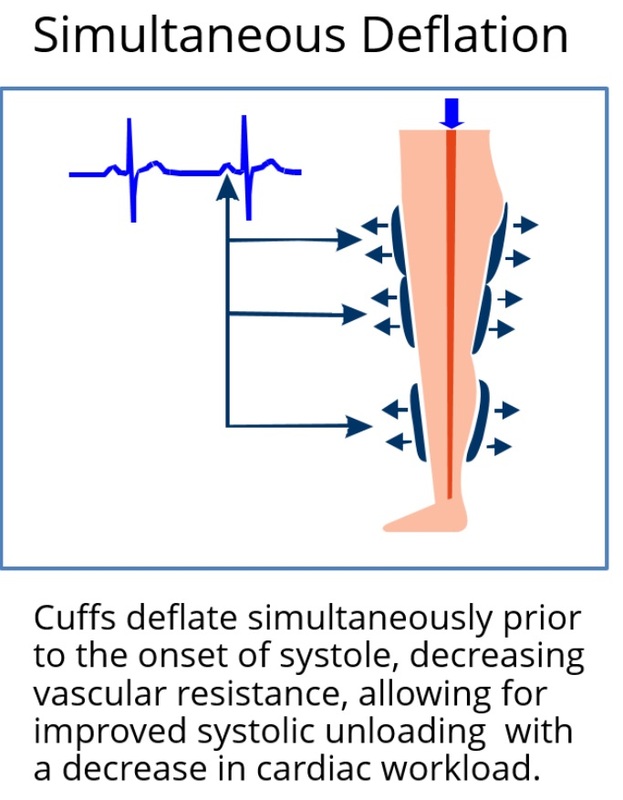 Additional hours may safely and effectively be prescribed to this regimen if physician evaluation of the patient’s response to treatment determines additional hours will result in greater relief of symptoms. 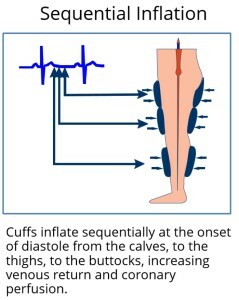 In certain circumstances, adjusting the patient’s treatment regimen to two hours per day can make it more comfortable for the patient to complete a course of EECP/ECP therapy. EECP/ECP therapy involves compression and decompression of the lower extremities during the diastolic phase of the cardiac cycle.